2018 Kia Optima LX TEST DRIVE Horizon Blue 4D Sedan 2.4L 4-Cylinder Automatic FWD 17" Alloy Wheels, 17" Alloy Wheels Package, 4-Wheel Disc Brakes, 6 Speakers, ABS brakes, AM/FM radio: SiriusXM, Cargo Net, Four wheel independent suspension, Front reading lights, Illuminated entry, Panic alarm, Passenger door bin, Radio data system, Security system, Speed control, Speed-sensing steering. Priced below KBB Fair Purchase Price! 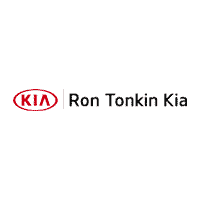 25/36 City/Highway MPG Come on in to Ron Tonkin Kia in Gladstone to test drive today! 2018 Kia Optima LX Test Drive Granite Brown 4D Sedan 2.4L 4-Cylinder Automatic FWD Exterior Parking Camera Rear, Panic alarm, Security system. Priced below KBB Fair Purchase Price! 25/36 City/Highway MPG Come on in to Ron Tonkin Kia in Gladstone to test drive today! 2018 Kia Optima LX Test Drive Granite Brown 4D Sedan 2.4L 4-Cylinder Automatic FWD Exterior Parking Camera Rear, Rear Parking Sensors. Priced below KBB Fair Purchase Price! 25/36 City/Highway MPG Come on in to Ron Tonkin Kia in Gladstone to test drive today! 2018 Kia Optima LX Test Drive Horizon Blue 4D Sedan 2.4L 4-Cylinder Automatic FWD 17" Alloy Wheels, 17" Alloy Wheels Package, 4-Wheel Disc Brakes, ABS brakes, Exterior Parking Camera Rear, Panic alarm, Power steering, Power windows, Rear Parking Sensors, Remote keyless entry, Security system. Priced below KBB Fair Purchase Price! 25/36 City/Highway MPG Come on in to Ron Tonkin Kia in Gladstone to test drive today! 2018 Kia Optima LX Test Drive Ebony Black 4D Sedan 2.4L 4-Cylinder Automatic FWD 17" Alloy Wheels, 17" Alloy Wheels Package, 4-Wheel Disc Brakes, ABS brakes, Blind spot sensor: warning, Brake assist, Electronic Stability Control, Panic alarm, Security system, Speed control. Priced below KBB Fair Purchase Price! 25/36 City/Highway MPG Come on in to Ron Tonkin Kia in Gladstone to test drive today! 2019 Kia Optima LX Test Drive Sparkling Silver 4D Sedan 2.4L 4-Cylinder Automatic FWD 10-Way Power Adjustable Driver's Seat, 17" Alloy Wheels, 4-Wheel Disc Brakes, 6 Speakers, ABS brakes, Auto-Dimming Rear-View Mirror, Blind spot sensor: Blind-Spot Collision Warning warning, Brake assist, Dual Zone Automatic Climate Control, Electronic Stability Control, Four wheel independent suspension, Front Bucket Seats, Front Center Armrest, Gloss Black Door Pillars, Leather Wrapped Steering Wheel, LED Overhead Front & Rear Reading Lights, LX Premium Package, Panic alarm, Panoramic Sunroof, Radio: AM/FM/MP3 Audio System, Rear Parking Sensors, Security system, Speed control, Speed-sensing steering, Split folding rear seat, Traction control, Variably intermittent wipers. Priced below KBB Fair Purchase Price! 24/33 City/Highway MPG Come on in to Ron Tonkin Kia in Gladstone to test drive today!